TC Roofers Kildare are a local roofing company that has over 30 years experience at all types of roofing and guttering. We are based in County Kildare. We are a family run business with 2 generations of experience as roofing contractors and general roof and guttering repairs from leaking to exterior decorating spanning over 30 years. Our aim is to provide all our customers with a quality service and competitive rates. All our team is trained to work fast and professionally. We do not employ any 3rd party contractors at any stage during our work. Safe pass certified, public liability and using the most modern methods at repairing, replacing or renewing roofs and gutters. Experts at roofing repairs in Co. Kildare. Emergency call out service. If you have a roofing leak, call our team today to schedule a free assessment. Specialists at flat roofs, felt roofing, felt repairs and more. Call our team today to get a free quote on repairing your chimney in Kildare. Get your ridge tiles replaced or repaired today at an affordable price. 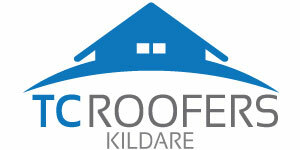 Call us today to replace or build a new roof in Kildare. Flat roofs, pitch roofs. Get a new felt roof installed or your felt roof repaired today by TC Roofers.